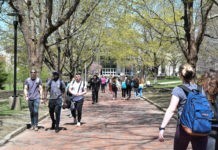 The University of Rhode Island’s mail lines are back and longer than ever. After closing the individual self-service mailboxes, the line leading to the mail center in the basement of the Memorial Union has nearly doubled in size due to a significant increase in the volume of packages. It’s not just URI either. The volume of packages at most universities increased by roughly 25 percent, according to Carol Stedman, principal clerk of the mailroom, but regular mail has decreased. On average, students have waited in lines from 10 minutes to nearly a half hour to receive their packages. 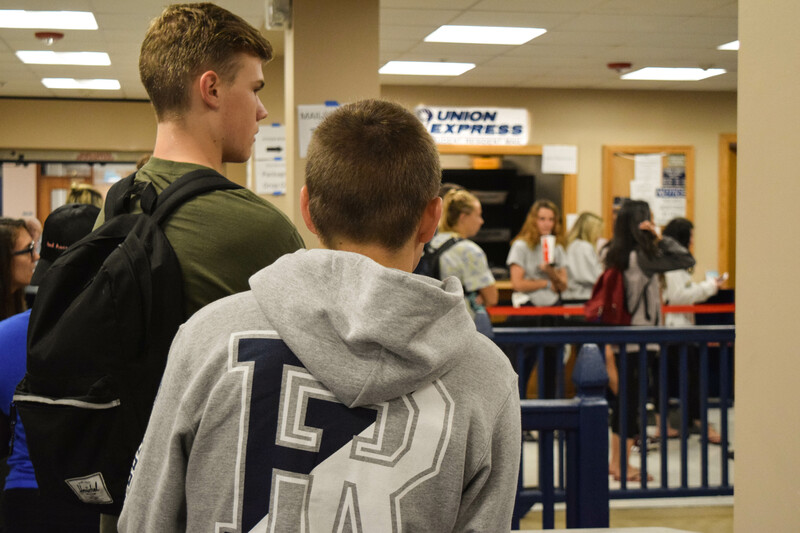 On days when the mailroom has heavier traffic, the line wraps around RamTech and sometimes extends past the Rhode Island Credit Union. Staff has noticed this and recently implemented a new system this past weekend. Bryan Salisbury, senior information technologist, created a system where students swipe their card at a laptop before the mailroom window to check if they have a package or mail. If yes, the system will tell them what type of package. Simultaneously, a slip will print in the mailroom, alerting staff to search for the packages. 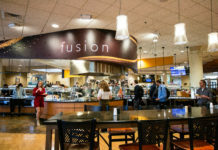 Once mailroom employees find the package that corresponds with the slip, staff calls out the name of the student and gives it to them. Salisbury anticipates that the one laptop sign-in station will turn into multiple if this system is successful. Some students found the new system to be successful after only running for one day. Others found that new system wasn’t effective and was just as time-consuming as the old way. Junior Alannah Mensah agrees that the new system takes just as long as the old one, and agrees it isn’t working. This year they created lines for letter drop off and pick up as well as package drop off and pick up. This helps organize the students by category. Currently, the mailroom receives their deliveries from all mail carriers at the same time from FedEx, UPS and other carriers and then the packages go through a sorting phase. The last delivery is typically at 3 p.m., according to Stedman. Occasionally, the mail room will have to close down to sort through the packages. Sometimes with sorting, packages tend to fall out of the mix and students wait in line for a long time only to find their package is missing. Jegede said it was her second time to the mailroom for the same package and it has taken a good amount of time for them to look for it. “It’s probably something from family members but I can’t have it,” she said. The mailroom staff said their peak hours are from 11 a.m. to either 2 or 3 p.m. and their busiest days are typically at the beginning of the week. Toward the end of the week, business starts to slow down. Assistant manager Dylan Bochichio is part of a team that makes sure things run smoothly. He supports the new system and hopes it will help with the long wait times. Students tend to make mailroom trips after their classes at the end of the day, so the half hour wait doesn’t affect their schedule much. Regardless, it still affects their attitude toward the long wait for their mail, especially if they’re just picking up a letter. Despite the mixed reviews, Bochichio is going to see how it runs after only one day. As of Sept. 26, the mailroom has switched its serving window from its old location to the old mailbox room. The majority of the line can fit inside the room and see staff search for their packages. Stedman said that the expansion of the location will help speed up the process and cut the length of lines. Several students waiting in the new line for their packages thought it was more efficient already. Overachiever and overtired. Former architecture student, current senior double major in Journalism and Communication Studies. A true Rhode Islandah, she’s lived all over the state and knows the best chowdah in town.